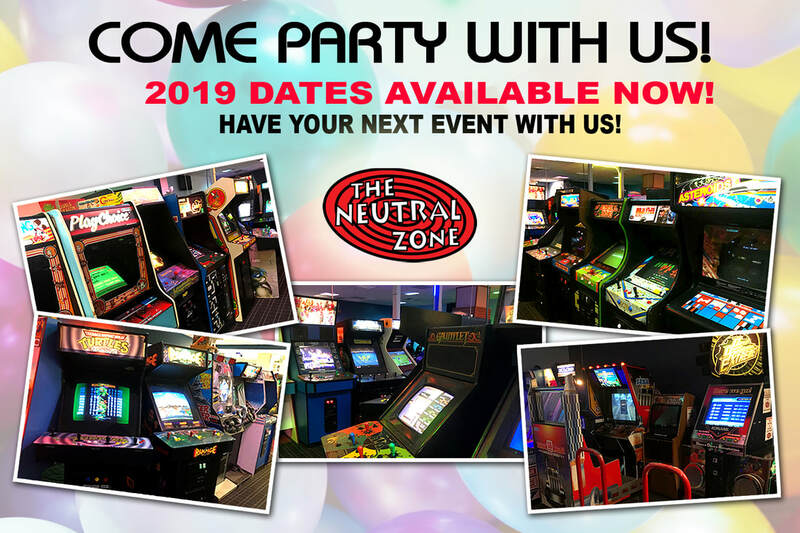 ARCADE PARTY & EVENT RENTALS! DATES FOR 2019 ARE OPEN! CONTACT US TO BOOK YOUR NEXT EVENT NOW! We offer unique access for you and your guests to over 75 retro video game titles. People love nostalgia! Why not have it as the theme for your next event? It is a fun and memorable experience for guests of all ages! Invite up to 50 guests for your event! Your next event with us is private. All rentals are held on Sundays. We do not book parties during the week. The arcade is closed to the public except to you and your guests during the time of rental. Food is allowed to be brought in, and tables and chairs will be provided. We can seat up to 30 people. We do not offer food with our rentals at this time. Choose downloadable image and a separate window will appear. Wait for it to load then right click to save image. There are 2 invitations to a page. Printable image is 8 x 10" in size. Final invitation size is 7x 5" in size. "Get sugared up on your favorite soda and play all the games you loved growing up--and FINALLY beat them!" "Great game selection infinite refills on soft drinks, small snack bar as well, and very friendly, overall great place too go"
"We had lots of fun!!!" "I took the kids and we had a great time. I especially got a kick out of the newer video pinball game. That was awesome!" "Took my two boy 6 and 4 in age and the three of us had an absolute blast. There were so many games that we were there for almost 3 or 4 hours. I love the fact you can leave and come back. We went to get some lunch and play in the mall playground and were able to go back for another hour and play some arcade classics. You really cant beat the nostalgic feeling and I loved being able to share the experience with my boys. I would highly recommend." "This place is awesome. Ended up spending about 3 hours there." 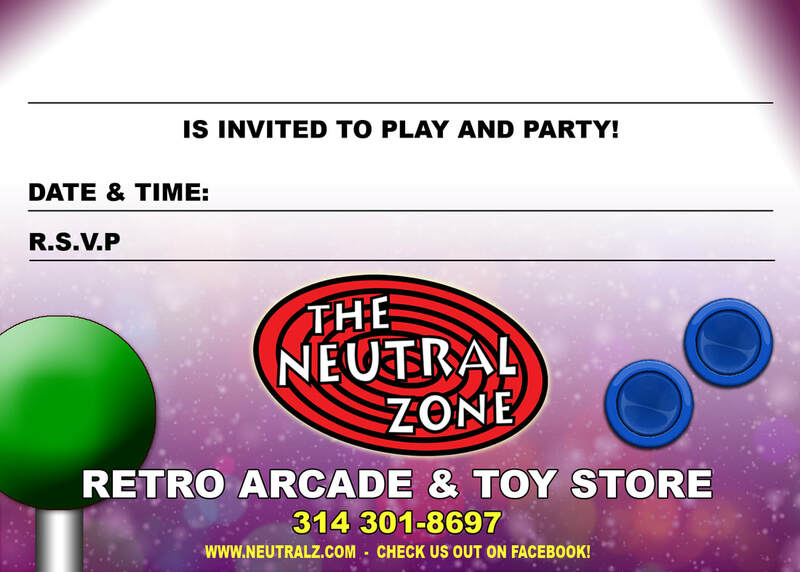 "My kids absolutely loved the arcade experience provided by Neutral Zone!" "Great place and so much fun for adults and kids alike"
"This place was so much fun. Great entertainment for my boyfriend, two ten year old girls, and myself. Well worth it!! 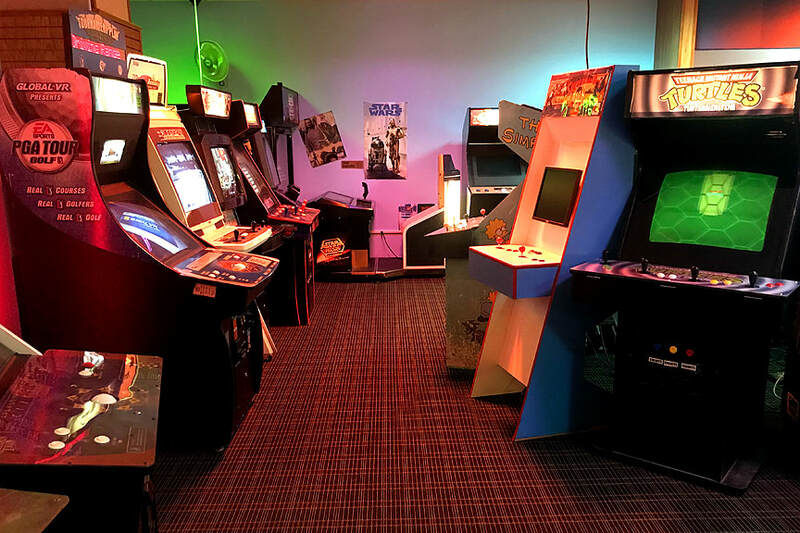 Tons of great arcade games." "Fun place to play old school video games." "Hours and hours of fun for the kids and adults that wasn't to relive their childhood. Many classic arcade games to keep you entertained four hours on in! Love this place!" "Fantastic place! I took my 7 year old son on a weekday when it wasn't crowded at all. We were there for over 4 hours and had the best time! I was afraid my son wouldn't appreciate the older games but he loved them all! It was so cool to be able to actually finish a game like The Simpsons no matter how many times your character dies." 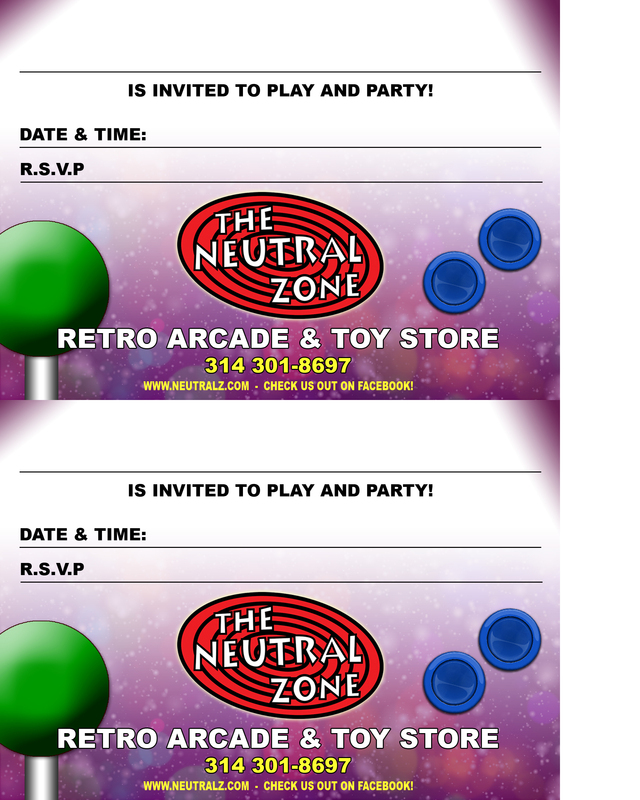 "Neutral zone is an old-fashioned arcade that has all of the games we played in the 80's. It was a ton of fun!" "So fun to feel like a 10 year old again playing the video games I did as a kid in arcades. I also liked trying out the dance machine games which came out after my time in youth! Fun for kids and adults." "very cool to play all those games nonstop!" TRY DONKEY KONG EMULATOR FROM 1983! Press start and answer in-game questions. Select difficulty then 1 or 2 players. Use keyboard arrow keys for movement and space-bar to jump.